Spike Jonze has demonstrated a knack for left-of-centre, surreal storytelling with films like Being John Malkovich and Adaptation. His latest and it should be said finest film, Her, is no exception. In the near future – and a surprisingly utopian one given the cinemas penchant for dystopian visions of the future – we meet Theodore Twombly who works at BeautifulHandwrittenLetters.com where he puts his skills as a writer to work penning letters for people to send to lovers, friends or grandchildren. A lonely and anti-social man still recovering from a marriage breakup, Theodore becomes intrigued by an advertisement for the newest computer operating system, or OS – the first to feature artificial intelligence. “It’s not an OS – it’s a consciousness.” He buys himself a copy and after asking him a couple of questions to calibrate itself to his needs the OS introduces itself, or rather herself, as Samantha. Her cheerful, friendly demeanour instantly brings some light to Theodore’s life and the two become friends. Samantha organises Theodore’s life and Theodore helps Samantha unpack and understand the world. Before long their relationship becomes romantic. The central premise of Her – a man falling in love with his computer – sounds like that of an absurd comedy but Jonze chooses to treat it with great sincerity. As such, what we end up with is a surreal, existential exploration of the nature of love, what it is to be human and our relationship with technology. The beauty of this film is how not far-fetched it manages to make this premise feel. We are already hopelessly dependent on technology. Anyone who has ever been forced to go even a short period of time without their smart phone or an internet connection can attest to that. Jonze simply takes that dependence to the next step, asking whether as technology becomes more sophisticated it is possible that dependence could become an emotional one. Theodore and Samantha’s relationship is treated with a surprising normalcy. Theodore’s friends hardly flinch at the idea that he is having a relationship with an OS. In fact, we are told that he is far from the only person out there in such a relationship. There is even talk of a woman who is having an affair with someone else’s OS. Jonze’s screenplay is remarkable, but it falls on the film’s two leads, Phoenix and Johannson, to sell the authenticity of the relationship and make it all believable. Both actors rise to the challenge, delivering brilliant, unconventional performances. Phoenix is typically chameleon-like as Theodore, this insecure, isolated but deeply thoughtful man. So much of this film is dependent on his face as the nature of the story requires him to deliver the majority of his performance in isolation, relating to a character that isn’t physically present. Johansson’s performance is quite special. Completely disembodied, allowing her no physicality to employ, she nonetheless manages to create a full and empathetic character in Samantha. While it is the screenplay that makes Samantha think and feel, it is Johansson that give her the spark of humanity and enables us to understand how Theodore could fall in love with her. It isn’t objectophilia. It is a genuine two-way relationship. As the film progresses the story becomes just as much Samantha’s story as it is Theodore’s. Artificial intelligence has usually been treated with suspicion in film. It is seen as dangerous and threatening – think of HAL 9000 in 2001: A Space Odyssey. In Her, we empathise with Samantha. In a variation of the Pinocchio story, Samantha struggles to reconcile the fact that while she thinks, feels and experiences emotions like a human, she is not one. The latter half of the film poses some quite interesting psychological questions about the limitations, or lack thereof, of artificial intelligence. Her is one of the most touching, thought provoking and unique films of the year. We have arrived at the most wonderful time of the year to be a movie buff (unless you are a more high falutin cinephile who likes to think of lists and awards as being trivial and beneath them). December brings with it a flurry of top ten lists and the first round of nominations for the award season. 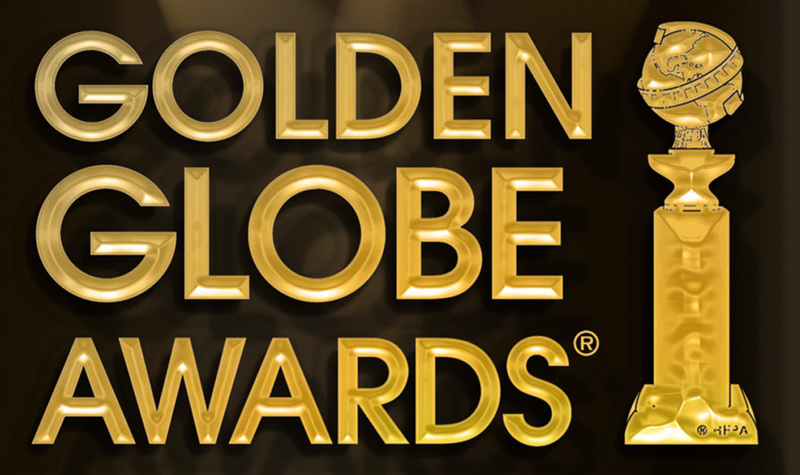 The Hollywood Foreign Press Association has announced its nominees for the 2014 Golden Globe awards. As always the Golden Globes only give a slight indication of how things will pan out come Oscar time, particularly as the Globes divide categories between Drama and Musical or Comedy. However, we can none the less start in earnest to speculate as to who will be in the mix when Oscar nominations are announced on 16th January 2014. If this award were to go to anything other than 12 Years a Slave or Gravity it can be considered quite an upset. It will be interesting to see which way this goes. There was no other film that got quite the overwhelming response that Gravity did, but 12 Years a Slave is also a brilliant and important film which is a much more traditional ‘Best Picture’ type. Again, this would appear to be a two horse race between American Hustle and Inside Llewyn Davis, with these two films plus the two favourites from the other best picture category likely to be the four main contenders for the Oscar. The fact that Joel Coen didn’t get a directing nomination might swing things in the favour of David O. Russell’s film. Where this category is usually dominated by the directors from the best drama field there is a bit more of a mix this year with David O. Russell and Alexander Payne representing the musical or comedy category. While it is yet to be seen if voters consider Gravity to be Best Picture material, there is no doubt that it is a directorial achievement and it is not without precedent to see directors rewarded for amazing technical achievements (see Ang Lee’s Oscar win last year). In all, this is probably the strongest contested field at this year’s Golden Globes. An interesting field featuring veterans (Hanks and Redford), breakout performances (Ejiofor and Elba) and someone who is slowly but surely becoming quite an impressive actor (McConaughey). For mine, Redford’s work in All is Lost is the most impressive acting I’ve seen this year, but it also feels like the kind of film that will get overlooked. Don’t be surprised if momentum builds behind Tom Hanks and he’s an unbackable favourite by the time the Oscars come around. It’s great to see an old dog in Bruce Dern back in the mix and Christian Bale’s amazing fluctuating weight gets him in the frame again, but Joaquin Phoenix was so impressive in Her, performing the majority of the film only with a disembodied voice to play off, so I’d be inclined to go that way. There is a bit of a usual suspects feel to this category with every nominee being a previous Golden Globe and Oscar winner. Cate Blanchett would seem hard to beat in this category unless the voters go left field for something out of left field and opt for Dench. The amazing Meryl Streep gets her obligatory nomination here, but this one will likely come down to Amy Adams and Julia Louis-Dreyfus. Michael Fassbender has done the best work of his career when under the direction of Steve McQueen and his performance as the violent Epps in 12 Years a Slave will likely see him edge out Brühl and Abdi for the honours. Lupita Nyong’o was very impressive in 12 Years a Slave, her first feature film role, and Sally Hawkins earned praise for her work opposite Cate Blanchett in Blue Jasmine, but 2013 has been Jennifer Lawrence’s year and her combination with David O. Russell should see her strike gold again. There are five very good screenplays nominated in this category but none is as bold as Spike Jonze’s for Her. His screenplay takes a scenario which could easily have been silly and makes it incredibly sincere and heartfelt and, as such, despite being an outsider I wouldn’t be at all surprised if he won. This has to be the least inspiring collection of animated films in recent memory. It doesn’t help that there is no contribution from Pixar or Studio Ghibli, the two most consistently excellent producers of animation in recent years. As such, Disney’s Frozen, an old-fashioned feeling Disney movie, is probably favourite be default. This category lacks the out and out favourite it had last year in Amour, but there are a number of strong contenders. Blue is the Warmest Color, The Hunt and The Great Beauty have all made a bit of noise, winning numerous awards. It could go to any of those three, though Blue is the Warmest Color is probably the favourite at this stage.